I have demonstrated in the past on many occasions that I do not hesitate to act in addressing any matter. But I am also measured in the decision I arrive at through careful thought, always allowing deep process to take place. I have the authority to make many decisions every hour as Prime Minister, but I do so always with consideration of what is right and fair, conscious always that with great authority, comes great responsibility. I have allowed one of our Government’s coalition parties to address the matter involving Minister Roberts, who is a member of that party as is their right to so do. I have also given regard to the need for the said Minister to be given an opportunity to compile a report and make a statement on all matters pertaining to allegations made against him. Having allowed due process to take place, and in receipt of a full report from Minister Roberts, I am now in the best position to make public, my position regarding these allegations. I am not judge or jury. I can only weigh the statements made by any member of my government against the evidence or lack thereof presented to me. I hold fast and true to the inviolable principle of the presumption of innocence until proven guilty. It is the basis upon which our judicial system is founded and it informs my own approach in arriving at any conclusion in matters of this kind. Honourable Minister of Sport, Anil Roberts has penned a letter delivered by hand, dated June 10th 2014 and addressed to me as Prime Minister of the Republic of Trinidad and Tobago, a copy of which will be subsequently made public via distribution to all media. As regards the allegations of the Lifesport programme, Minister Roberts describes the reports as “*unsubstantiated*” and submits that he respectfully awaits the outcome of the investigation. 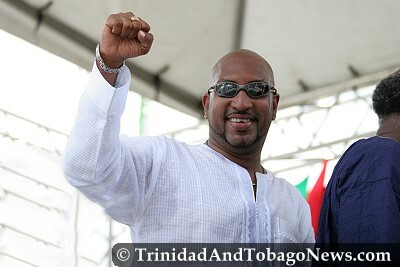 After considering the strong denials made by the Honourable Minister, and having regard to the fact that there exists no evidence to corroborate any of the allegations made against Minister Roberts, I find that there is no matter arising which requires my consideration at this time. The investigation initiated by the Honourable Minister of Finance, Larry Howai on the allegations within the Lifesport programme will continue aggressively until a determination is made. I wish to take the opportunity to re-affirm my position with regard to the responsibility which must be shouldered by every member of my Government or indeed by anyone who holds a position in public office that integrity and humility must be the hallmarks of your work and character at all times. The Office of the Prime Minister has released the letter dated June 10, 2014 (pdf), which was sent to Prime Minister Kamla Persad-Bissessar SC, by Minister of Sport Anil Roberts. Let me state at the onset that, I Anil O.E. Roberts have never indulged, partaken or used any illegal drugs in my entire life nor have I ever indulged, solicited, requested, engaged or employed any form of prostitution. Further, I have no recollection of the events portrayed in the video. I confirm that I have not used any drugs inclusive of marijuana during my tenure as a Minister of your Government. It is with great sadness that I have watched a relentless media campaign designed to deframe, hurt and disrespect not only me but my wife, children and unborn child, as well as my constituents, my government and you my beloved Prime Minster. Since this “news item” was first broadcast on the station of our detractors, and may I remind you that accusations and innuendo about a video resembling what we now witness were thrown at me by none other than Dr. Keith Rowley, Senator Faris Al-Rawi and Fitzgerald Hinds among others as well as the PNM’s preferred newspaper the TnT Mirror over a year and a half ago. There has been no legitimate allegation being made or to be made by any official agency and no investigation launched against me. To this point not one allegation of misconduct, criminal activity or activity warranting further investigation has been made. I have been instructed by my attorneys to remain absolutely silent on the matter. From what I have seen in the video, I am unable to determine when it was, where it was, and what substance is alleged to have been held by me. Indeed, there is no material visible. In much the same way, I have been advised by my attorneys that there is no way in which any of the material displayed on the video may be verified. The production of this video is an extreme form of mischief which places one in an unenviable place to ‘defend’ oneself by making statements and pronouncements that in turn will be used in tandem with the video of dubious origin and delayed production to condemn the speaker. I was informed through the media of a decision made by the Congress of the People purporting to suspend me. I attach my letter of inquiry, which to date remains unanswered. I note in the Trinidad Express reported comments of the Chairman of the party admitting that the Constitution of the Party contains no power to suspend me, and there is a nebulous reference to a code of ethics. I also note that the production of the video, was in tandem with a sledgehammer of misinformation attacking the Lifesport programme. This programme remains a most innovative reformation programme that signals hope to the much maligned and at risk youth. I attach a statement of the Director of the programme which rubbishes all of the reports. I respectfully also await the outcome of the investigation. Wrapping ganja does not mean you are a smoker…lol. “I confirm that I have not used any drugs inclusive of marijuana, ‘during my tenure as Minister of your Government. '” …..
We believe you Anil, and so does the fake religious rogues , and vagabonds, you have enabled with tax payers money, and protected , via the state. “….I am not judge or jury. I can only weigh the statements made by any memberof my government..?” Even our boy ,John Agitation , could not beat this tail shaking comedy, and trust me when I say , he was funny. Ok, Madame PM, so you in all of your self righteousness ,and political naivety, can continue to slurp, your Gramazone laced Columbian coffee, since your high end , Dr Goopiesing, UWI trained students, told you , this is recommended ,as a detoxification agent, with can reduce the aging process. In the interim, we will endure , you , and this Political Gangbanger , with the typical stupid smirk on his pug face, akin to the greedy Fox , who stole the prize hen , from Auntie Gladdy farm. Chicken Farmer, Carl Khan , and his Malaysian -Chinese ex, Sherrine Hart, of UDECOTT fame doing? Tell me folks , is there anything these culturally corrupt,white color bandits, and their cronies ,might touch , that does not suddenly , get tainted? The million dollar question then remains -with citizens like these , who needs enemies, hmmm? There you go,Trini Grandmaster , Dr Rowley, as your task gets easier, to finally initiate , good , honest governance , after your success,come 2015.Ummmmmm …Checkmate , as Queen is capture. Tell you what , in disgust ,I was on the verge of selling my T&T citizenship, to some desperate immigrant from say ,Calcutta, Karachi,Berbice, Lagos,Beijing , Santo Domingo , Kingston,Port o Prince , or Havana, but would hold that off for a while ,since the national beat down , as played out , under this despicable , PP regime, is about to soon end, ennnt? Dr. Brinsley Samaroo, a former Minister of Food Production and Marine Exploitation in the NAR Administration ( 1986-1991) , said there were several questions which had to be answered before Persad-Bissessar could act with the main question being whether it was indeed Roberts who was in the clip. “All of these have to be taken into consideration before she can make a decision,” he said. “From what I have read in the newspapers, the Prime Minister has instituted an enquiry and she has to be extremely careful before she makes a decision,” Samaroo added. Rowley is emotionally and illogically calling for his head immediately. The Prime ministerial way forward is to carefully consider the evidence. Is Anil’s problem ganga or alcohol? “TO ERR IS HUMAN TO FORGIVE IS DIVINE”(Minister Glenn Ramhardsingh) This Minister acknowledged his misdeeds;and sought forgiveness for his actions.The female employee of the airline crew consulted with the police;and refused to file charges against the Government Minister.He(the minister)was relieved of his portfolio immediately. Be “firm and consistent” Madam Kamla Persad Bissessar. Rowley made reference to this video in the House more than a year ago. The PNM is obviously using their plants to desperately spread propaganda against the government. The PNM because they believe that they have a divine right to govern would stop at nothing to regain power. Stay tuned, Rowley and his cohorts will be coming up with more accusations and more home movies devoid of sound , supporting evidence. They will try anything, illegally intercepting emails, releasing videos, making wild accusations and casting aspersions related to race and culture. People are used to the spin doctors (bloggers) coming out and clouding issues when they are “in your face”. For most of us used to the formation and administering of governments, we prefer an orderly and sustained approach. For those, whose motives are ulterior, chaos is best because when there is chaos, they can do as they very please. Steal, kill, breach, hire, fire, move, cancel, build, breakdown etc etc etc. Yes, chaos does provide opportunity, and this opportunity goes on to May 2015. Before that however, there will be plenty more chaos and we have to get used to that. What we are experiencing now is just the iceberg, the heat will come later as more and more is revealed and publicised. In the meantime, we will be inundated with PRs that will tell how wonderful they are, how hard they worked and how they fought for the people. Like Brinsley said they just can’t fire him just so. What I am yet to hear is this: The PM is yet to ask him straight questions like, “Is it you in the video?”, “what were you doing there?”, “what was the substance being wrapped in your hands?”, “who were with you in that hotel room?”, “what date was that video taken?”. She also could have easily asked “Can I have a certificate of your blood free from drugs from a reputable medical facility?”. These are simple and direct questions and there should be nothing difficult for a member of her Cabinet to answer. But I do suppose that, we the population are fools and the PM always Knows better. We are supposed to believe that her word is ultimate, truth and unquestionable. This I’m sure is good for UNC politics and politicians and supporters. Be that as it may, most of us using the media are not the fools we are expected to be and so I advise those who disseminate information to be sure they are thinking that those who read are not fools! This whole affair has gotten so comical that one does not know how to address it anymore because chaos reins! The politics of resentment is a losing strategy. I’m not in the business of arguing, we shall know in less than 12 months, but I’m sure facts are a better indicator of what I’m saying.